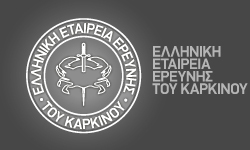 Sioka C, Papadopoulos A, Papadimitropoulos K, Exarchopoulos T, Spiliotopoulou M, Fotopoulos A. 4 MAPPING SCHOOL STUDENT POPULATION IN THE CONTEXT OF PREVENTION AND HEALTH PROMOTION PROGRAMS FOCUSING ON NUTRITION AND ORAL HEALTH. 11 THE VALUE OF (123)I-FP-CIT SPECT AND ITS IMPACT ON DIAGNOSTIC ACCURACY OF PATIENTS WITH PARKINSONIAN SYNDROMES. Zaromytidou E, Tachtatzi N, Petrou I,Oikonomou Z, Meristoudis G, Notopoulos A. 14 IDIOPATHIC INFLAMMATORY BOWEL DISEASE (IBD). THE ROLE OF 25-HYDROXY-VITAMIN D (25-OH-D) SERUM LEVELS IN CORRELATION WITH DISEASE SEVERITY. 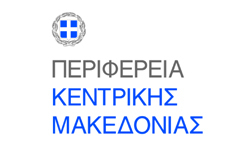 Kittou D.2, Violi A.1, Tsigalou C.3, Georgiadi K.6, Strataki A.1, Pistola A.1, Efstratiou V.2, Lambropoulou M.4, Tsamados N.2, Kouklakis G.5, Zissimopoulos A.1. 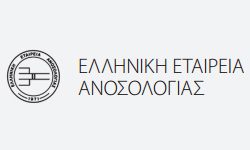 Aristotelidou V.3, Souftas V.6, Tsigalou C.2, Balomenos V.5, Georgiadi K.5, Lianou T.3, Georgiadou Z.3, Stataki A.1, Pistola A.1, Zissimopoulos A.1. Georgiadou Z.3 ,Georgiadi K.5, Balomenos V.5, Stataki A.1, Aristotelidou V.3, Tologkos S.3, Papadatou V.3, Lambropoulou M.4, Pistola A.1, Drosos G.2 Zissimopoulos A.1. Papazacharia A, Tegou Z, Moutzouri S, Karagiannidis-Stampoulis G, Kanonidou E.
21 GLAUCOMA AND PATIENT ADHERENCE. DOES DOCTOR-PATIENT COMMUNICATION AFFECT PATIENTS' OUTCOMES IN A GREEK NHS GLAUCOMA UNIT? Papazacharia A, Tegou Z, Karagiannidis-Stampoulis G, Bournoutou S, Moutzouri S, Kanonidou E.
1) Radiologic Technologist (RT) MSc, Department of Clinical Radiology, General Hospital of Kozani ‘MAMATSEIO’ (GR). 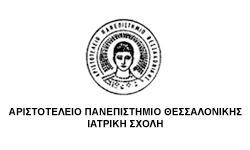 2) Radiologic Technologist (RT) MSc, MA, PhD (c), Department of Clinical Radiology, University Hospital of Ioannina – UHI (GR). 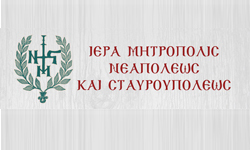 3) Radiologic Technologist (RT) MSc (c), Department of Clinical Radiology, University Hospital of Ioannina – UHI (GR). P. Boura, K. Tselios, A.M. Georgiadou, Al. Sarantopoulos, I. Gougourelas. 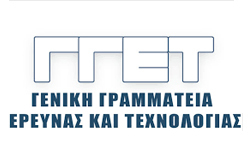 (1) Radiologic Technologist (RT) MSc, MA, PhD (c), Department of Clinical Radiology, University Hospital of Ioannina – UHI (GR). (2) Radiologic Technologist (RT) MSc (c), Department of Clinical Radiology, UHI (GR). 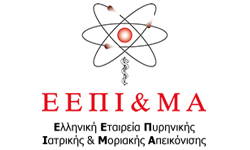 (1) Radiologic Technologist (RT) MSc (c), Department of Clinical Radiology, University Hospital of Ioannina, UHI (GR). (2) Radiologic Technologist (RT) MSc, MA, PhD (c), Department of Clin. Radiology,–UHI (GR). 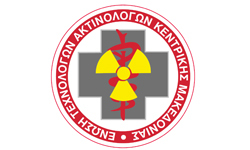 1Nuclear Medicine Department, Hippokration General Hospital, Thessaloniki, Greece. Tsikopoulos G1, Tzantzaroudi Ai1, D.Liasis1, Georgiou El1, Mpratzou Ch2, Sdouga M3, Koliouskas D4. 38 SEXUAL DYSFUNCTION IN HEART FAILURE PATIENTS: SEVERAL PATHWAYS SAME DESTINATION? 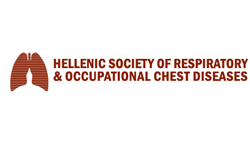 1.Department of Cardiology, General Hospital of Veria, Greece. 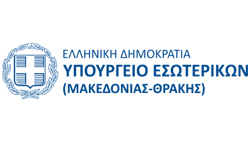 2.Second Propedeutic Department of Internal Medicine, Aristotle University of Thessaloniki, Thessaloniki, Greece. 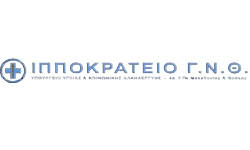 Liasis D, Papoutsakis M, Georgiou El, Stefanidis Chr, Tsikopoulos G.
Koumpardas S.1, Gkatzia N.2, Noufrakis I.3 1. 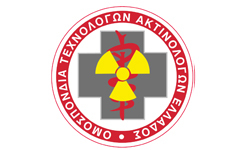 RT, MSc(c), MD(c), Nuclear Medicine Department of General Oncology Hospital of Kifisia "Aghioi Anargyroi", Laboratory Associate of TEI of Athens. 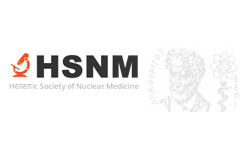 2.RT, MSc(c), Nuclear Medicine Department of General Oncology Hospital of Kifisia "Aghioi Anargyroi"
42 STEM CELLS (CELLS STEAM): ROLE, PRODUCTION METHODS AND FUTURE PERSPECTIVES IN THE TREATMENT OF DISEASES. Kalesis K., Zaromytidou E., Nikolopoulos V., Drivakou D., Kazakos K., Kotsa K.
48 THE INFLUENCE OF IMMERSIVE VIRTUAL REALITY SYSTEMS IN PATIENTS AFTER STROKE. 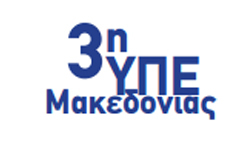 Papakonstantinou E1, Kourti M, Lambrou M, Kotsoglanidou K, Venizelos J3, Anastasiou A, Koliouskas D1. 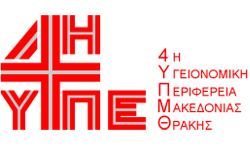 Papakonstantinou E1, Athanasiadou K1, Kourti M1, Lambrou M1, Kotsoglanidou K1, Notopoulos A2, Anastasiou A3, Koliouskas D1. Δαδάκου Γλυκερία, Σκουτζού Χρυσούλα, Αδαμίδου Ασημένια, Μπουζάκης Απόστολος, Καραγιάννης Ευάγγελος, Σιδηροπούλου Μαρία. NORMALIZED GLOMERULAR FILTRATION RATE (NGFR) ASSESSMENT BY 51CR-EDTA CLEARANCE: WHICH PATIENTS ARE REFERRED FOR EVALUATION WITH THE RADIOISOTOPE METHOD? Τσεμεκίδης Χ, Τσίρκου Α, Ψαρούλη Ε, Νοτόπουλος Α.
Meristoudis G, Likartsis C, Alevroudis E, Kakatsiou D, Oikonomou Z, Petrou I, Zaromytidou E, Kotsira M, Notopoulos A. 65 THE EFFECT OF THE MOBILE APPLICATION "EUGLYCA" ON GLYCEMIC CONTROL OF CHILDREN AND ADOLESCENTS WITH DIABETES MELLITUS TYPE 1. DIFFUSE LARGE B CELL LYMPHOMA OF THYROID DEVELOPED IN A KNOWN DIVING GOITER VERSUS ANAPLASTIC CARCINOMA OF THE THYROID: A CASE REPORT. Likartsis C, Petrou I, Meristoudis G, Zaromytidou E, Jafari S, Alevroudis E, Chatzakis C, Thomopoulou A, Notopoulos A.
GLOMERULAR FILTRATION RATE VALUES MEASURED BY 51CR-EDTA IN RELATION TO AGE AND BMI IN LIVING KIDNEY DONOR CANDIDATES. A SINGLE CENTER EXPERIENCE. Likartsis C, Jafari S, Meristoudis G, Kakatsiou D, Psarouli E, Taxiarhi P, Notopoulos A. 69 CONTRIBUTION OF BONE SCAN IN ACCESSORY NAVICULAR BONE DIAGNOSIS. A CASE REPORT. Perlepe N, Gagas F, Papadopoulou E, Kounadis G.